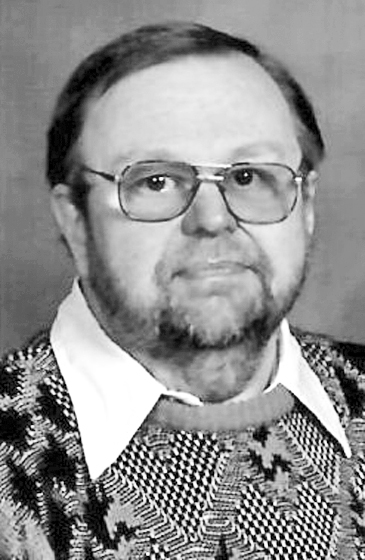 ISHPEMING, MI – James F. Bartanen, age 68, lifelong Ishpeming area resident, passed away on Monday February 4, 2019 at U.P. Health System Marquette. James was born on July 1, 1950 in Marquette to the late Reuben and Evelyn (Hanninen) Bartanen. He attended Ishpeming Public Schools graduating from IHS with the class of 1968. He then went on to study at Northern Michigan University where he earned a BA in geography in 1972. Following graduation from Northern, Jim was drafted into the United States Army where he served the country for 2 years until his honorable discharge. He worked at several different institutions doing maintenance, and painted for many of his working years. Jim was known for being an animal lover, adopting many dogs and cats from humane societies and animal shelters. He enjoyed playing church league softball, where he played pitcher, fishing in his younger years with his father on the Dead River. He and his father built a boat that they would use to go out in. He loved spending time at the Hanninen family camp on the Dead with his cousins and family. One of his favorite hobbies was doing mail-in sweepstakes. He and Gale were active gardeners, always planting beautiful flower and vegetable gardens in the summers. He was very artistic especially in the art of wood burning. He enjoyed blueberry picking with his wife and canine companions, spending time at their place on the Huron Bay Grade and at the Bartanen Hunting Camp on the Peshekee River. Jim is survived by his wife Gale (Griffis) Bartanen of Ishpeming, 2 siblings- Charlotte (David) Mayers of Quinnesec, Betty Ann (Frank) Cody of Ishpeming, along with 4 nieces, 5 nephews, and many cousins. He was preceded in death by his parents along with several aunts, uncles and cousins. Jim’s family will greet relatives and friends on Friday February 8, 2019 from 10:00am until 12:00 noon at the Hope Free Lutheran Church in Ishpeming Township. A funeral service will follow at 12:00 noon with Rev. Dave Ryerson officiating. Military Honors will be accorded by the U.P. Honor Guard. Interment will take place in the Ishpeming Cemetery. A luncheon will follow in the church hall. In lieu of flowers memorials may be directed to the Hope Free WMF Quilters Fund or the Hope Free Lutheran Church Expansion Fund or UPAWS. Jim’s obituary may also be viewed at bjorkandzhulkie.com where relatives and friends may leave a note of remembrance.